Patients with diabetes do not have normal feeling in their feet. 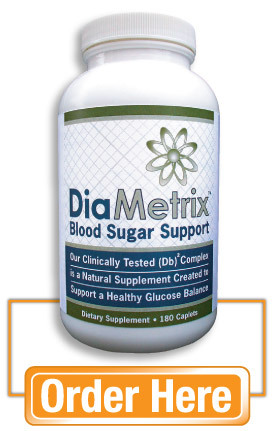 The nerves stop conducting electrical impulses correctly as a result of the abnormal sugar metabolism. Sensations in the foot begin to change and decrease over time. This condition is called neuropathy. Due to the neuropathy, light touch, deep pressure and most skin sensations cannot be adequately perceived. Any friction, rubbing, or pressure from a shoe will lead to an increased concentration of pressure on the foot. This causes skin breakdown and an ulcer develops. The pressure and friction are normal but the inability to feel these sensations is abnormal. The patient cannot make the fine-tuning and adjustments necessary to prevent an ulcer from forming. An ulcer is not caused by lack of circulation or by infection. The ulcers are usually associated with bone pressure and a bone prominence under the arch of the foot. These ulcers can become very large and must be treated. Prevention consists of following guidelines for foot care for people with diabetes. These guidelines include regularly inspecting the feet and wearing shoes and inlays that fit properly. Diabetic foot ulcers are usually first recognized by the affected individual. The advice of a healthcare provider should be sought immediately. The provider can diagnose the ulcer by looking at it. If the ulcer is draining fluid, a culture of the fluid may be sent to the laboratory to check for infection. In the United States, people with diabetes account for 50% of amputations for reasons other than injuries. Most of these amputations are below the knee. After a limb has been amputated, the opposite limb is often lost within a few years. This happens not only because of ongoing problems and vascular disease, but also because the opposite leg must bear increased pressure and workload. monitoring of peripheral vascular disease, which causes decreased blood flow to the feet. Monitoring includes regular measurement of oxygen levels in the skin, blood flow in the veins of the legs, and pulses in the legs and feet. In some cases, imaging with special dyes and X-rays will be used. correcting risk factors. A person who smokes should quit smoking. A diet for diabetes should be carefully followed for blood sugar control. Blood pressure and cholesterol levels can be controlled with medication. doing regular exercise for a person with diabetes, to improve circulation to the feet. The healthcare provider may also prescribe special support hose to improve blood flow from the legs to the heart. aggressively treating any sign of skin damage. The treatment may consist simply of local wound care and antibiotics. Infections, especially those that have reached the bone, must be treated surgically. It is very important to avoid pressure on the ulcer during healing because new tissue is delicate. Prescription inlays, or shoe inserts, can be used to relieve pressure on the area. following a team approach to care. The team may include the person with diabetes, the primary care physician, the physician's assistant, the diabetes educator, the nutritionist, the surgical specialist and, if needed, a physician specializing in diabetes. performing daily foot care for a person with diabetes. In addition, the healthcare provider should examine the person's feet at each visit. learning about diabetes on an ongoing basis. The individual must assume responsibility for self-care and learn how to prevent ulcers. After a person gets a diabetic foot ulcer, he or she will be at risk for further skin breakdown and infection for the rest of his or her life. Informed self-care and monitoring are the best tools available to prevent skin lesions from becoming life- and limb-threatening infections. A neglected blister or callous is the most common reason for amputations in people with diabetes. A person with diabetes needs to follow foot care guidelines and monitor blood sugar levels for the rest of his or her life. The healthcare provider also inspects the individual's feet regularly and monitors his or her sugar and cholesterol levels and blood pressure.